The Chandos portrait of William Shakespeare (artist and authenticity unconfirmed). Held by the National Portrait Gallery, London. On April 25, 1616, in a small town 100 miles northwest of London known as Stratford-upon-Avon, a clerk noted in the town’s burial register the passing and interment of a “Will. Shakspere, gent.” The death went otherwise unnoted, the man himself uneulogized, his accomplishments apparently of no particular cause for celebration either in his hometown or in London, where he had also maintained a residence. It was not until 1623 that one of the most significant publications of all time, Mr. William Shakespeares Comedies, Histories, & Tragedies, known to us as the First Folio, first suggested to the world that the Sweet Swan of Avon memorialized by the “Stratford moniment” (as poet Leonard Digges called it) in the town’s Holy Trinity Church was, in fact, the author of the plays. It is, therefore, no mere poetic hyperbole that the upcoming 2016 national tour of the First Folio is called “First Folio! 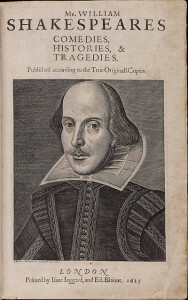 The Book That Gave Us Shakespeare.” Without the expensive and determined effort between 1621 and 1623 to print a folio edition of Shakespeare’s theatrical works, we likely would have not only tragically lost 18 plays for which no other printed copies exist, but it is doubtful that the bard of Stratford himself would even be known to us. Now, on the 400th anniversary of his death and through a partnership between the American Library Association’s Public Programs Office, the Folger Shakespeare Library in Washington, D.C., and the Cincinnati Museum Center, residents in 53 cities will be able to see copies of the First Folio for themselves simply by visiting their local libraries, museums, or universities. Folger Shakespeare Library exhibition catalog, Shakespeare: The Globe and the World. This is not the first time the Folger has sponsored a major nationwide tour. In 1979, it launched a 26-month, seven-city traveling exhibition of rare objects and manuscripts from its collection titled Shakespeare: The Globe and the World, with text written by Shakespeare scholar Samuel Schoenbaum, author of the 1975 book William Shakespeare: A Documentary Life. This time around, the ambition is considerably grander and more ambitious. Throughout 2016, a selection of the Folger’s peerless collection of 82 copies of the Folio, all of which were meticulously and obsessively gathered over decades by Henry and Emily Folger (see Andrea Mays, The Millionaire and the Bard, 2015) will be exhibited in 50 states plus Washington, D.C., Puerto Rico, and the American Virgin Islands. It is also an exciting occasion to learn more about why the First Folio is one of the most mysterious books of all time, and the most controversial. 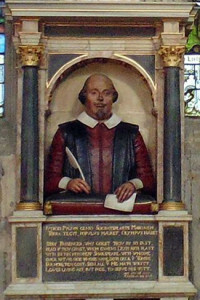 Shakespeare’s funerary monument in Stratford-upon-Avon. It is not widely understood or appreciated—even among librarians—the extent to which the printing history of Shakespeare’s plays is fraught with uncertainty, mystery, and debate. Shakespeare himself held no control over the printing of his plays, and (however inexplicably) he did not show any particular interest in them. They soon fell into the hands of a variety of printers, pirates, and unnamed but presumably powerful “grand possessors” (copyright holders of the Jacobean era) who would either release them in error-ridden quarto editions—often without his name on the title page—or withhold them from the public entirely. Shakespeare’s name would also be attached to plays he clearly had no hand in writing. (When was the last time you saw a production of Fair Em, the Miller’s Daughter of Manchester, or The Merry Devil of Edmonton?) No original manuscripts in Shakespeare’s own hand have ever been found, making attribution studies problematic. 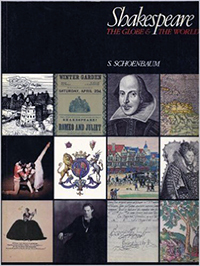 Attempts over centuries by literary historians to establish chronologies of when and in what order the plays were written are often conflicting and are the tenuous result of relying on a handful of known printing dates, stylistic analyses, contemporary references, allusions, and outright guesswork—all premised on the need to fit the prodigious production of plays and poems within the years Shakespeare was thought to have been actively writing. The First Folio’s greatest gift to posterity is undoubtedly that it preserved 18 plays which had never before appeared in print. In some respects the First Folio only deepens these mysteries. While correcting some of the errors in the quartos, it introduced a host of new ones, leading scholars to wonder to what extent it was edited, if at all. Poetry becomes prose through thoughtless paragraph arrangements, commas are inserted with frustrating irregularity whether required or not, some sentences contain strange words rendering them meaningless, and entire scenes that were printed in the quartos disappear. In any case, all records with which the editors (presumably Shakespeare’s fellow actors John Heminges and Henry Condell) might have worked have vanished. As American literary historian Thomas Lounsbury observed in his 1906 book The Text of Shakespeare, correcting these errors and discrepancies in an attempt to restore something of what Shakespeare might have intended has been “the task of centuries” (p. 49). 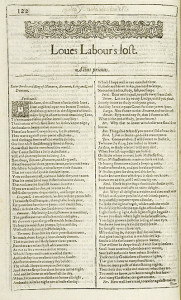 For all these unknowns, errors, and omissions, however, the First Folio’s greatest gift to posterity is undoubtedly that it preserved 18 plays which had never before appeared in print, including The Winter’s Tale, The Tempest, The Taming of the Shrew, Two Gentlemen of Verona, and Macbeth. The First Folio did, indeed, give the world William Shakespeare, and that is more than enough cause for celebration. A brief overview of the events planned in just three cities gives some sense of the scale and diversity of the programming that will be offered. 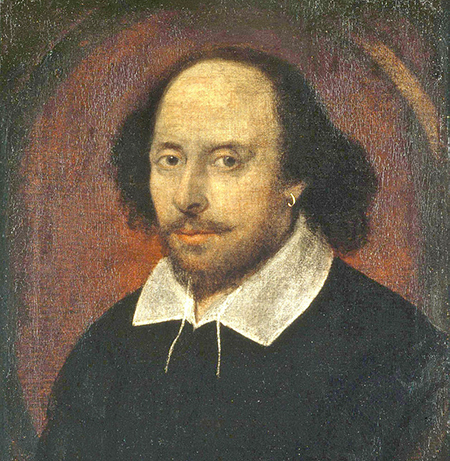 At the same time, some independent Shakespeare researchers and advocacy organizations are planning to use the Folio tour to probe these mysteries and promote alternative perspectives on both the Folio and its author. Cover of James S. Shapiro’s The Year of Lear: Shakespeare in 1606. The concurrent exhibition will feature many treasures from Cushing’s Shakespeare and early modern collections, including a copy of the Second Folio of 1632; a copy of the 1703 Hamlet Quarto; many editions of the works of John Donne, Ben Jonson, and other contemporaries; and other materials related to the printing and editing of early modern works. Surely a highlight of the library’s programming will be its hands-on “Early Modern Printing Day,” where participants will also learn the crafts of paper making and paper marbling, using all period-accurate equipment, including an English common press. 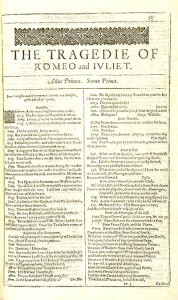 Title page of Romeo and Juliet from the First Folio. 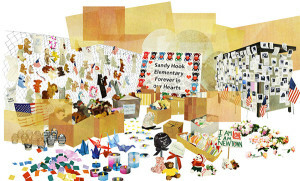 Montana is planning many more events, according to Ethnic Studies Librarian Julie Biando Edwards: “An opening reception, programming on Montana Public Radio, activities for kids and families at the Children’s Museum Missoula, performances and workshops for students through Missoula Children’s Theater, a poetry-writing workshop for children through the Missoula Writing Collaborative, and a workshop for teachers of English language arts through the Montana Association of Teachers of English Language Arts. The School of Theatre and Dance is staging Romeo and Juliet, and the Missoula Community Theater will be performing The Complete Works of Shakespeare, Abridged. 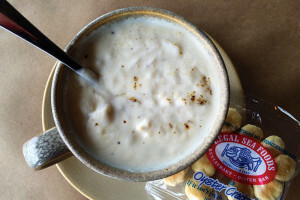 University Dining Services will have an Elizabethan menu, and we are encouraging local theater companies from across the state to stage Shakespeare. The library will be hosting the National Library of Medicine touring exhibit, ‘And There’s the Humor of it: Shakespeare and the Four Humors.’ We are planning more programs and collaborating with more people all the time; this is a true campus/community collaboration,” she added. Title page of Love’s Labour’s Lost from the First Folio. Prior to the exhibit, as a part of “Knowledge on Tap” (a regular bimonthly series that brings members of the public face-to-face with some of Detroit’s greatest minds at various midtown restaurants and bars), Wayne State’s English Department Chair Ken Jackson will present an informal talk on Shakespeare and the First Folio on February 25. The university is also hosting a two-day academic conference March 10–11 titled “Shakespeare and His Culture on Stage and on the Page,” which explores the cultural, historical, literary, and textual significance of the First Folio in stage performance, manuscript, and print. According to Wurm, this will be the first time that Michigan’s Shakespeare scholars will all congregate in Detroit. Wayne State’s Folio programming will be featured prominently on the libraries’ website, with each event getting a feature graphic in a rotating gallery that will link through to a full description, with information updates fed regularly through its social media channels. There are also plans to create a First Folio page at the university level with all First Folio events in one place so that it can be promoted to an even wider audience. These three snapshots may give only a hint of the rich programming participants can expect throughout the 53-city tour. It may also suggest some programming approaches for interested libraries. Working alone or in partnership with other institutions and community organizations, libraries can offer public lectures, film screenings, performances, and tours or exhibitions highlighting special collections, as well as enriched web content and dedicated social media. Yet there are also some basic things that libraries can do to help answer questions regarding the greatest Folio mystery of all: Who, exactly, wrote it? The strange lack of any relevant biographical information about Shakespeare in the prefatory materials in the First Folio, compounded by the resolutely mundane and nonliterary nature of all the historical records we have pertaining to the seemingly undereducated glover’s son of Stratford (see the Tennessee Law Review 72 (2004): 111–147), has led over the better part of the past two centuries to enduring, persistent, and increasingly vocal doubts among “anti-Stratfordians” that he was, in fact, the author—and the corresponding belief that most of the thousands of books published about the poet and playwright have been written about the wrong person. The Folio tour is therefore viewed as an ideal venue for authorship skeptics to raise what they feel are perfectly reasonable doubts and promote open debate about the authorship of the Shakespeare canon. 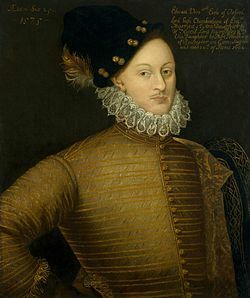 The Massachusetts-based Shakespeare Oxford Fellowship (in the interests of full disclosure, I am a member), for example, plans to raise these questions during the Folio tour year, as well as inform the public about Edward de Vere, 17th Earl of Oxford, whom it believes is by far the more credible Shakespeare. The result of a systematic investigation first published in 1920, de Vere’s candidacy has since been bolstered by the discovery of a host of biographical parallels from his life in the plays and poems, as well as a close correspondence between Shakespeare’s favorite biblical passages and the annotations that de Vere made in his personal Geneva Bible (held by the Folger Shakespeare Library). 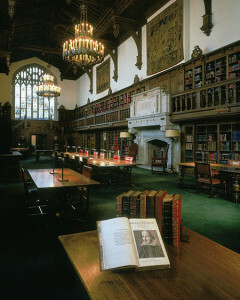 The Gail Kern Paster Reading Room at the Folger Shakespeare Library, with a First Folio in the foreground. Photo by Thedarklady154, used CC BY-SA 4.0. Libraries can easily contribute to reasoned and informed debate on this issue, which has passionate devotees on all sides but is, unfortunately, often ridiculed and dismissed in the media and popular culture. An easy way is through collection development, as there has been a tremendous surge over the past 15 years in publishing on the authorship question, and Oxford’s candidacy in particular. However, as my own recently published research (PDF file) suggests, this literature is poorly represented in academic libraries (in Canada at least) while conventional biographies of Shakespeare continue to outnumber anti-Stratfordian publications by three to one. In the interests of our traditions of intellectual freedom and neutrality, public and academic libraries should take advantage of the heightened interest in Shakespeare in 2016 to make a commitment to balancing their Shakespeare collections with a better selection of recent anti-Stratfordian literature. Another way is through research guides and pathfinders. Over the course of 2016, such tools offering researchers curated access to library and digital resources about Shakespeare’s works are sure to be in great demand—especially in Folio tour cities—and they too can be geared towards encouraging informed debate. As the subject specialist for theater, film, and English at the University of Winnipeg, I have created an interdisciplinary research guide for Shakespeare studies, with separate tabs for literary, performance, film, and cultural studies, as well as a dedicated tab for authorship studies. The authorship tab features recent publications, Library of Congress call numbers, and subject headings for books on leading authorship contenders and links to scholarly journals and organizations, as well as to documentaries and lectures on YouTube. In this way, the question of the authorship of Shakespeare’s works is treated as a legitimate field of study—rather than a fringe topic to be ignored altogether—and one featuring increasingly exciting discoveries and perspectives that can enrich our understanding of the canon. Joined together in their love of Shakespeare, a wide range of community partners, libraries, museums, and universities across the US are preparing for a year-long celebration of one of history’s most significant secular books through an astonishing variety of displays, performances, programs, and lectures. Yet, in their focus on a publication—one its author never saw or contemplated—these events may risk losing focus on the author himself. There is some potential for controversy at Folio events for which most organizers may be unprepared. However, libraries are ideally situated to mediate this controversy through balanced collections, innovative research tools, and programming—enabling the 2016 First Folio Tour to be an occasion not just for celebrating Shakespeare but for seeking answers about him as well. MICHAEL DUDLEY is indigenous and urban services librarian at the University of Winnipeg and editor of Public Libraries and Resilient Cities (ALA Editions, 2012). He blogs at The Decolonized Librarian. Contact him at m.dudley@uwinnipeg.ca.